Why Earth is called Blue Planet? Here, we will discuss about causes of pollution along with its effects and how to control Pollution in our daily lives. 4 HOW TO CONTROL POLLUTION? Anything in excess is dangerous such as medicines, alcohol or even food and water itself. Pollution also carries the same phenomena i.e. any extra addition to the environment either in form of solid, liquid or gas and have a greater ratio in comparison to their dispersion, dilution, decomposition, recycling or even getting stored will lead to pollution. Pollutants are major elements or components of pollution which are generally called waste materials of different forms. Pollution from vehicles: Carbon monoxide gas is generally emitted by cars and trucks and when we inhaled CO, it blocks oxygen from reaching out to our main vital organs such as brain and heart. Also, excess emission leads to environmental pollution. Transportation is the main cause in this area as a huge amount of goods are traveling around the world from one place to another causing pollution to a greater extent. Emission of fossil fuel: Various power plants which burn coal as the main fuel that’s too heavily result in the production of smog. Though smog is also produced from vehicles here the quantity is much higher. The result is a toxic gas which now surrounds our planet. Rise in Carbon Dioxide: well, you all know why is this happening right? The answer is simple i.e. deforestation. Trees are the only possible thing on this planet which can control heat as well as carbon dioxide but unfortunately, very fewer trees are left and gases are on the rise. Radiation all over the world: Ever heard of solar radiation? It is a radiation which comes directly from the sun but because the earth has its own protective layer called ozone layer it prevents sun harmful radiation to enter earth but now depletion in the ozone layer has been started and because of this many skin related problems are on the rise. But the story is not over yet, aside from sun radiation there is electromagnetic radiation which is also a huge problem and it was earlier related to huge wires which carry electricity to cities but now cell phones, tablets, laptops, WIFI etc devices carry some amount of radiation which is harmful to health. Chemical Agricultural Activities: Without agriculture activities food is not possible but an increase in demand for food and related things resulted in contamination of soil and water. How? By use of pesticides at an increased level, this is necessary to keep diseases out of crops and to threaten animals to not to enter in the field of agriculture. Now, this also comes in the causes of pollution as it directly affects the soil fertility. On our ecosystem: we are humans and we know that we are the major contributing species on overall effects of pollution on our mother Earth. Ozone layer depletion is getting affected and resulting in higher skin diseases including cancer. In fact, all the upper layers are coming into the danger zone. Reduction in Nitrogen oxide can change the overall species composition of an ecosystem. Greenhouse Gases which can lead to Rising in Global Warming affects the ecosystem in many ways. Organic pollution, as well as all the pollution combined, can reduce the oxygen levels and it will have a great negative impact on every species present on this planet. On Plants and Trees: Effects on plants and trees are higher and still increasing. You know about acid rain? Yes, it has a direct impact on small plants especially growing ones. As the water from acid rain mixes with soil and contaminate it. Also, we are cutting trees so, how small plants will grow securely? By conserving forest we may save ourselves and future generation. Smog can make it’s on the layer in the environment which hinders the amount of sunlight received by the plants and can damage the photosynthesis process which ultimately damages the plants. Effects on Animals life cycle: Yes, acid rain also affects negatively on animals’ skin as well as on their health as they drink water from ponds and rivers and composition of rain with them lead to toxicity. Also, because of land pollution microorganism will die and will have negative effects as it kills our first layers of the primary food chain. Effects on Humans: We create pollution and now we die because of it. 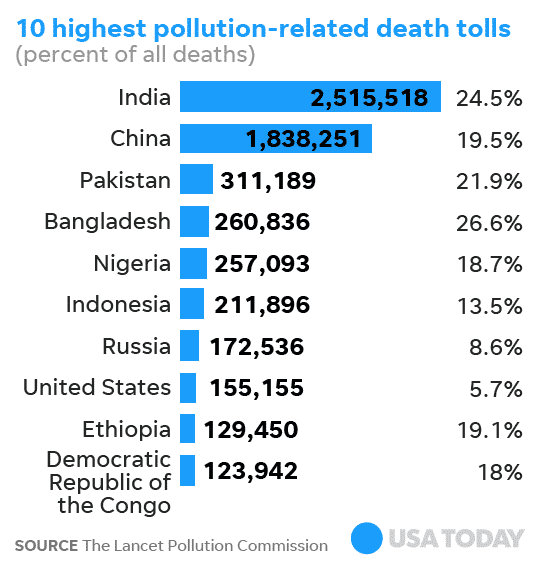 Effects of pollution on humans lead to severe long-term damages on our health. All the respiratory system problems like a skin disease or asthma problems or even cancer are associated with it. Water pollution borne diseases like dengue and malaria can almost kill us if not properly treated. Eating high chemically produced food can lead to damage on internal organs and also on the nervous system and lead to diseases like typhoid. Especially Children are affected more as their mind is still developing and with all these pollution present in the environment can affect them badly. With the rise in global warming outdoor workers and labors suffers the most and indoors workers too where no air condition is available. Are you now having a weird feeling that as a human we are destroying our own planet for some monetary benefit? Don’t worry (but we should though) here is a twist, being the most intelligent species in the planet we can come up with various techniques to reduce the pollution. Afforestation is the key to most of the problems in our planet. 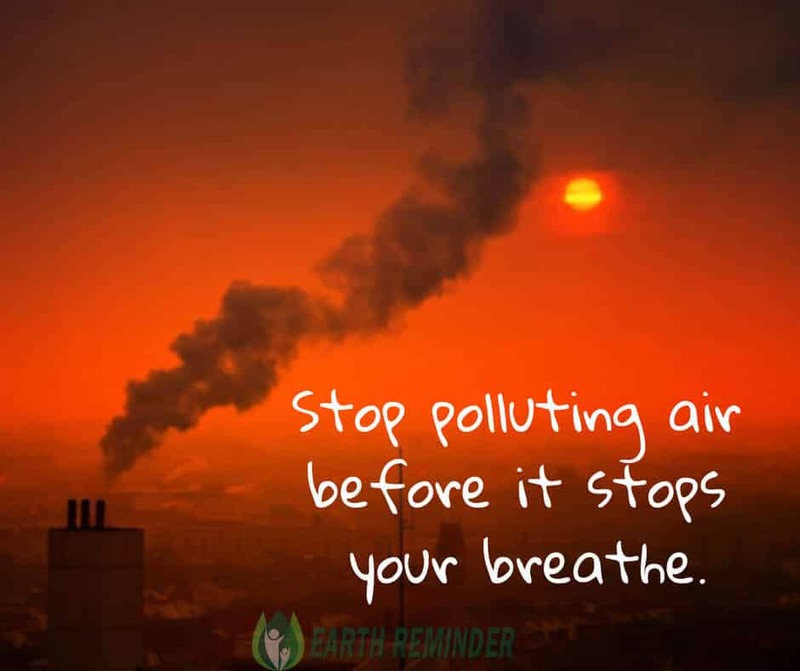 We know that we just can’t vanish the pollution as it is almost impossible because we have become habitual of our daily activities such as using cell phones, driving vehicles, transportation etc. and survival without all these things is also a question? Recycling: It is a process of converting waste materials into new product and objects. Now, what’s our role in it? We can buy recycled labelled products to support nature. Plastics, Metal cans, Glass/bottles, Papers, rubbers etc. all are examples of recyclable products. E-waste recycling is also an important topic nowadays as for how old technologies, corrupted machines or any defected machine can be recycled. It is done by part wise as which part can be repaired and which can be reused. The part which is completely defected goes into the process of complete recycle, as we all know the electronic part is made up of metals and plastic coating above it so core things can be recycled again. 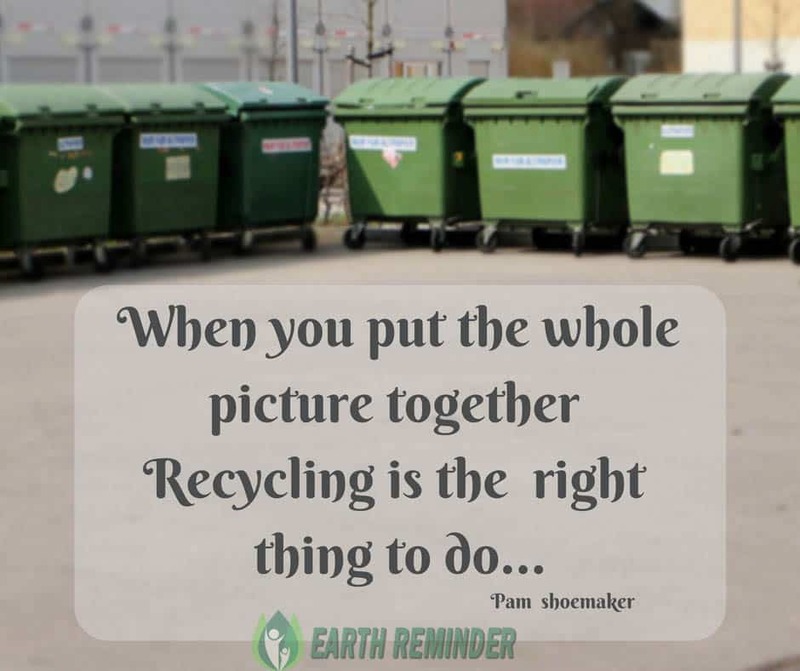 Reusing: Don’t get confuse it with recycling as reusing means action of using something again while recycle means breaking down waste to get ready for manufacturing (as a raw material). Examples: cell phones (buying used cell phone again because it was newer than you and selling your used phone to someone else). Another example re-gifting old clothes to poor ones. In case of printers- refill cartridges instead of buying a new one. Waste exchange: it is possible that waste that your company produces is useless for you but not for other companies who are searching those waste to reuse. 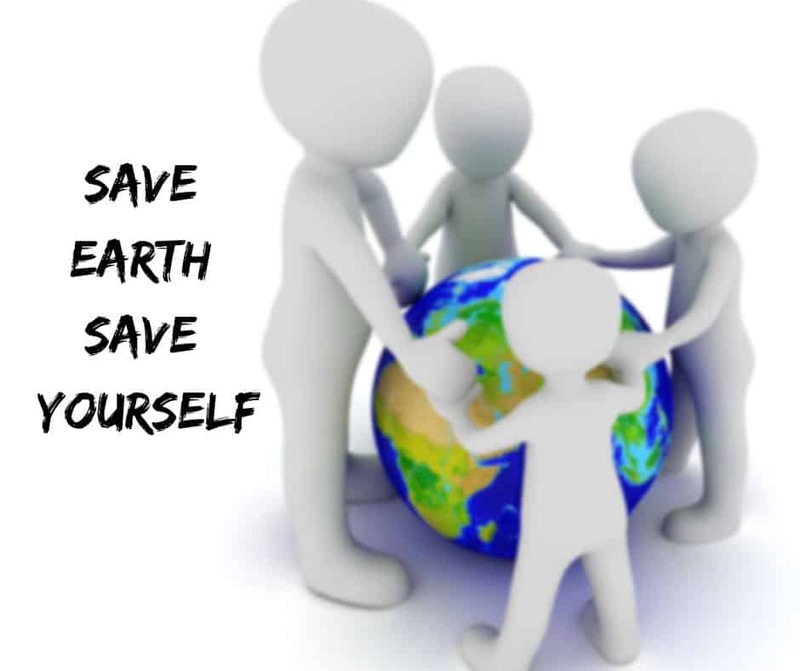 Use environmentally safe products which do not harm the natural resources directly even after disposing of them. Report illegal practice of dumping as this earth belongs to everyone, not to a particular person. Use dustbin and don’t throw your garbage here and there just because you didn’t find the dustbin. Stop smoking as it is also hazardous to your health or at least try not to smoke where no smoke sign is there. Avoid burning plastic in the open air as it is very toxic if inhaled by children. I would suggest do not burn plastic at all. Store rainwater and use it for purposes like washing your car and cleaning the home overall. Grow as much as the plant you can in your surroundings as it is the only way to get fresh air. Use cloth and paper bag for your grocery items. Solar energy and wind energy are the future. Try to use solar power either in form of solar cooker in your home, or solar rechargeable batteries etc. With the above article, we can conclude that “pollution is life-threatening” in any form for any living species present on the planet. Protecting the planet is not a one-day task it is a continuous process. It requires collective efforts from all over the world. Remember breathing is life. Afforestation will help in rising oxygen levels and reduce global warming overall. Causes of pollution are to be taken care of by appropriate action. Effects of pollution are on the rise and need extra caring from all over the world. As a common man we must follow how to control pollution guidelines and if you have any more ideas or suggestion please feel free to write in the comment box we will update it. What are the causes of the earthquake and its impact on Earth? I am a Post Graduate in Marketing and supply chain management with over 2 years of experience in a professional job and one-year experience at NGO. 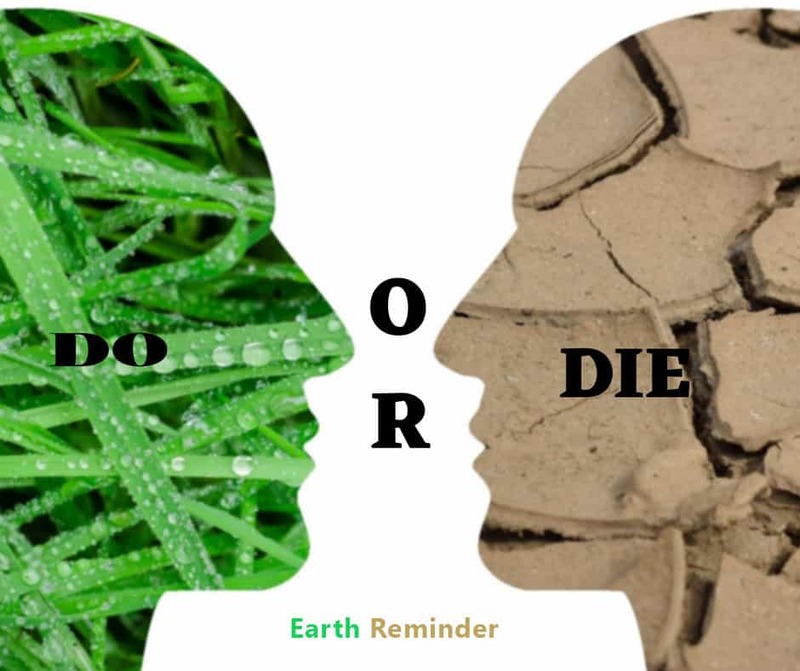 Earth Reminder must be our top most priority because resources which we are using today will not be there tomorrow. The sad part is we are not giving it back for example- Cutting trees daily but not planting new trees daily. Products which we are using are not natural anymore as some kind of manipulation is always there. Even now vegetables are not naturally grown from the soil as people use a chemical to grow them faster. 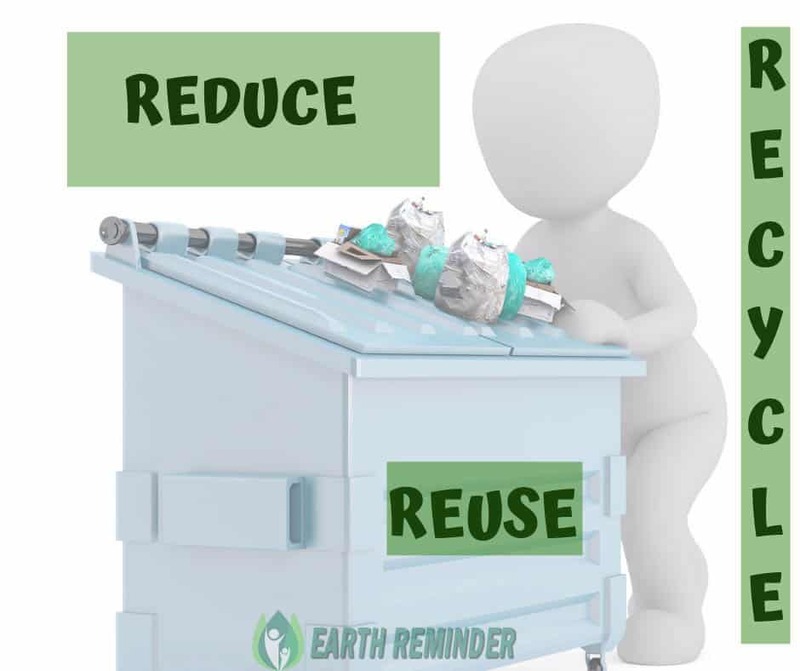 With Earth Reminder, I am raising concern by bringing informational content related to earth care to the world and guiding them to contribute towards the Mother Earth. Hi there! This is my first comment here so I just wanted to give a quick shout out and tell you I genuinely enjoy reading your articles. Can you recommend any other blogs/websites/forums that deal with the same topics? Thanks a ton!